You’ll also have access to top-notch outside facilities, including True clay tennis courts with a state of the art below ground irrigation system that guarantees the court is always in optimal playing condition. And of course, when you need to cool down you can go for a relaxing swim in the resort pool. If you’re a serious swimmer, you can also enjoy an ultramodern Junior Olympic swimming pool. This one-of-a-kind pool can be enjoyed year round as it is heated in the winter and cooled in the summer. You don’t have to drive far to access modern conveniences or Tampa’s and New Tampa’s best attractions. 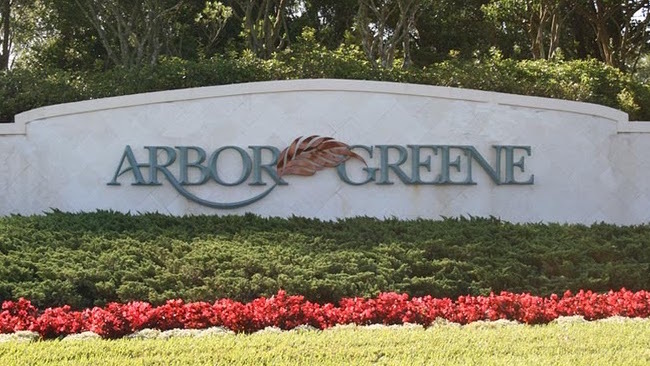 Arbor Greene is a short drive from I-75 and three of Tampa’s top rated public elementary, middle and high schools. Please give us a call 813-431-2840 or 813-979-4963 — We’d love to make your dream a reality! Team Bohannon has sold over 5,300 homes in the Tampa Bay Area. Our experience, commitment, and unparalleled customer service ensures you find your dream home and have a great time during the process!